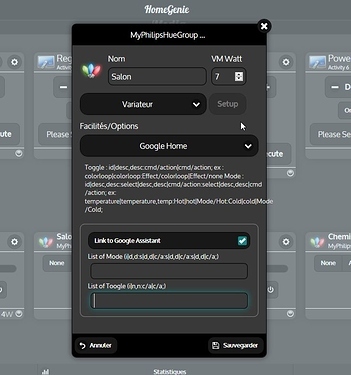 I am creating the Google Home Plugin. I will like to know how many people are interested in it. 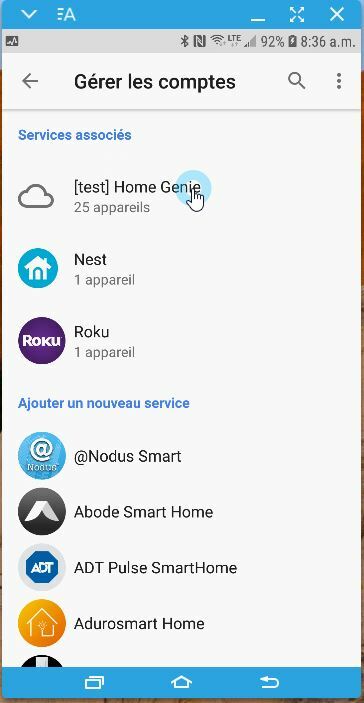 The reason is that Google Home need a cloud server to connect and then the request is send to individual instance. For now, the Cloud part is hosted on my personal PI. I may offer beta testing in a few weeks. For the plugin to work, it need to be exposes to the www, and best required a HTTPS connection. PS. where can I host the cloud part??? How can we support the cost ? This is the only thing hodling me. I’m interested in this. I have both google home and Alexa but currently only use alexa for my HA setup. I wonder if it would be better for each end user to setup their own server using one of the free web services like http://www.angelfire.lycos.com/hosting or on a pi as you’ve done. It would save having to worry about financing a server. @saue0 have you made any progress on this? I almost finished the cloud part. 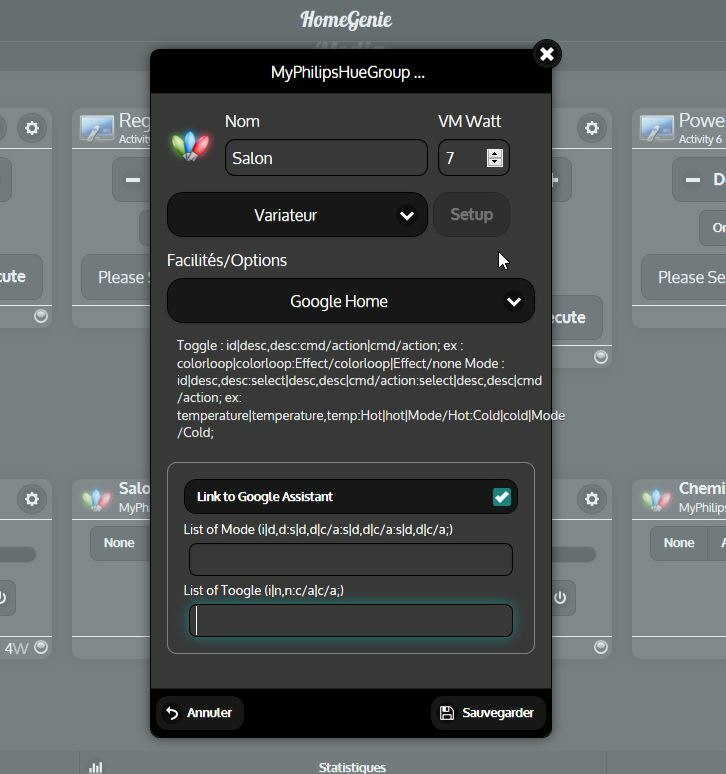 It a node application using Mysql as database. It will be running on my personnal Raspberry Pi. The mod and toggle part is not 100% ready. [test] Home Genie, If you do not see it, its because I did not gave you the access for it. Since it’s still in beta and not yet approved by google. Im using it for the past year. But it’s still a work in progress. Remenber : Your Home Genie server must be assessible from the WEB and protected. I attempted to do the register part and once I clicked register it threw me back to the registration screen. There was no confirmation of registration the registration screen returns with my Google info but none of my HG info. I did notice when it returns to the registration screen a new google user ID is displayed. So I’m wondering if it (registration) worked or not! Ok Second attempt seemed to work as it threw me back to login. You where registered correctly the first time. PS. 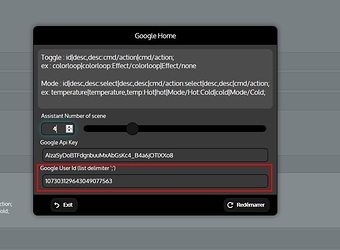 the Sync option will stop working some time because the Google Action is only in dev mode. 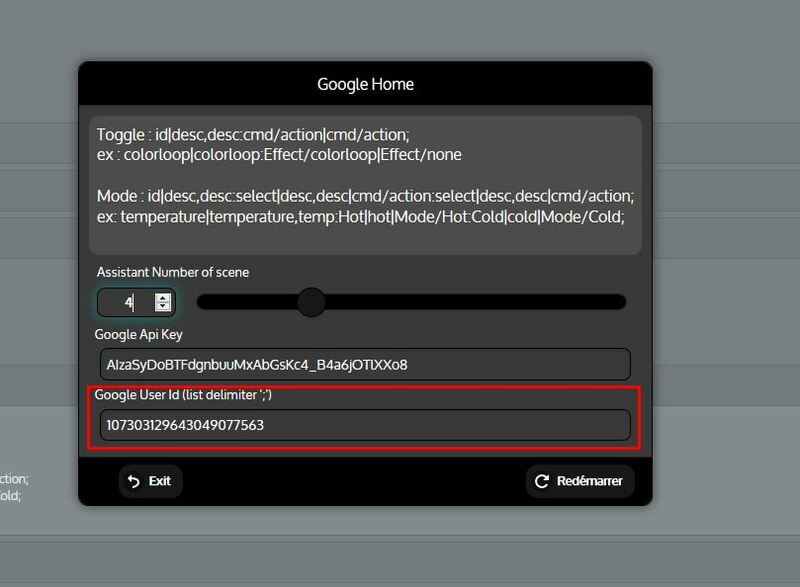 each time i reactivate it, it require all user to redo the linking in Google Home. If everythig is OK , I will try to post for a production release with Google in a near future. I tried to host my cloud part on a shared host on A2Hosting, and it is not perfect, so for now I switched back to my PI as the server. ok I don’t think I kept a copy of the registration id from that instance if I log in again will it display that to me? Never mind it will! @saue0 The Google api key is blank in HG setup, do I need to get one for this as well if so where and how? ah sorry about that have learn not to touch!